Home » Janie’s Blog » A legendary soccer player with hypothyroid who was forced to quit, plus one creative YouTube video. A guy posted about this one of the STTM Facebook groups, and I found it hauntingly familiar. When I was in my early 30’s, I was forced to quit my beloved career as a well-trained and talented fitness instructor due to hypothyroid complications causing debilitating dysautomia reactions thanks to T4-only medications. It was very grievous and hard. 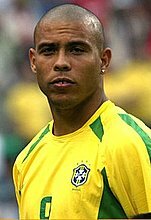 But famous Brazilian soccer football player Ronaldo, who was the all-time leading scorer at the 2006 World Cup, has had to retire because the game rules FORBID him from taking the hypothyroid meds he needed, even if they have been the lousy T4-only levothyroxine meds. i.e. the rules see taking thyroid hormones as against the anti-doping rules. What a shame. He’s young, 34 years old, and could have continued with a great career. But you also have to wonder how long he would have lasted at that, because Brazil doctors are still putting people on T4-only medications like so many other clueless doctors around the world. You can read about it on CNN here. Did you identify with losing a career or hobby thanks to hypothyroidism? What’s your story? I get really interesting emails from folks, and one arrived last week from Brian, the creator of a YouTube video called Our Holy Miracle of the Infallible TSH Test that he wanted me to view. Note: if you are reading this via the Blog Notification and want to comment, click on the title of this post, which will take you directly to the blog and where you can leave your comment. * The hip (cough) Stop the Thyroid Madness t-shirts are slowing running out, so before they do, you can order yours from here. * Prefer talking one-on-one? You can schedule a paid consultation with Janie at the bottom of this page. * If STTM has helped you, make a donation to the hosting fees here. The popularity of this site has resulted in much larger fees and your help is very appreciated. That video has me cracking up. The last few seconds seem to be ripped from the headlines of my life. Thanks for sharing a laugh! TheRawFoodWorld.com: Today we talked with our friend Enrique who had his thyroid removed. He has personally been taking Synthroid for 18 years and he made the big jump and has stopped taking it for many months. See how Enrique got off Synthroid. 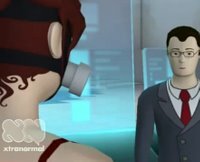 He also goes into a deep discussion and talks about what t3, t4 and reverse t3 are. Love the video!!! I posted it to facebook. I was diagnosed with fibromyalgia and CFS 3 years ago, after suffering with all the symptoms for more than a decade. I suspected it was my thyroid but every endo I went to told me my thyroid was fine based on my TSH and FT3 (which was very low at 2.3). When I finally found a good doctor who understood the relationship between the numbers and would listen to my symptoms he gave me T3 and I got better in two weeks. When I think of what could have happened to me, it makes me so angry with these arrogant doctors who rolled their eyes at me when I tried to tell them it was my thyroid causing the pain, fatigue, and other symptoms. I wish they would get “fibromyalgia”, then maybe they would be more open-minded. How unfair we humans are. It is just bizarre that anti-doping regulations don’t allow players to treat an illness that can kill. One would ask, why don’t they allow treatment of this illness and then use their Holy Miracle of the Infallible TSH to detect whether athletes are abusing T3 hormones? The answer is obvious — it’s because TSH by itself is a useless test, and the anti-doping agencies actually have NO LAB TEST which would conclusively prove either high or low cellular levels of T3. A survey of the patient’s symptoms and a clinical examination would be necessary to establish that. The forced and yet unnecessary retirement of the world’s best soccer player because of anti-doping regulations has revealed the uselessness of the TSH test better than anything else could. Shout this throughout cyberspace, please: Ronaldo’s forced retirement proves the uselessness of lab tests alone to track thyroid hormone status! The Holy Miracle of the Infallible TSH is a FAKE! FAKE! FAKE! Janine thanks for the link to the video and for STTM. Brian thanks for making it. All so true. How many of us have had this conversation with doctors and been made to feel like we had two heads. I think that’s why the patients look works, we feel vulnerable trying to get our point across. And yes, If you are cold you are still Hypo thyroid, I was for all the 21 years I was hypo, first 6 years without diagnosis, next 13 years on thyroxine; Last two years finally finding answers, first Armour and then T3 only. At last I’m warm, my feet in bed are warm all year round even in the coldest winter in UK. I was diagnosed with Hashimoto’s in 1989, was stuck with synthroid for many years, then got Armour and felt a lot better, but horrendously ignorant (or evil, or both) doctors refuse to increase my dosage – in fact, they decreased it because of the TSH test! Even though my free T3 was low! Figure that one out! I’m only getting 60 milligrams, and I probably need at least 180, so I’m only getting one third or less of what I should get to feel my best! I can’t find a good endo that will at least listen and read the information from the National Academy of Hypothyroidism website and consider increasing my Armour since we moved to the San Diego area; Well, I found one clinic, but they don’t accept my insurance, so, back to the drawing board! Not everyone with hypo needs T3 and T4 meds. I found my own hypo to be caused mainly by two things. Lack of iodine (now corrected with lugols solution) and excess goitrogens in my diet. (Gobs of peanut butter, flax seed, broccoli, DIM for estrogen metabolism which is more broccoli, cabbage, soy isolflavones, and yams!) Who knew? my hands and feet were like ice. Also, manual stimulation of the thyroid gland is beneficial. Be well. what do you do for manual stimulation? my hypoT condition is somewhat like yours too i think. The sad facts are that many of the T3 supplements out there are being used in the athletic and body building arena. They are sold as body building enhancers. No wonder Ronaldo was banned from even having life saving T4 medication….Talk about lack of education!!!! Sheeesh! I know that the sporting field is trying to keep the ‘doping’ out of sport but if he needed a T4/T3 combination and got to perform better,to his natural abilities, would he then be banned or hailed a sporting legend? Peeves me no end, I can tell you! First, let me say that I am quite hypo and I have extremely LOW cholesterol. So low that my doctor is worried about my heart health. I’m also thin, which seems to confuse people. However, I was so hypo that I had to leave a lucrative career due to my inability to concentrate or put in the long hours. Even with a doctor that lets me increase my NDT and HC doses by symptoms (not just lab results), I’ve been struggling to get optimized for over two years now. I wonder if I will ever be able to work a full-time job again. I’m 39 and a long way from retirement. Most doctors are so ignorant of the truth that they don’t know that in one of the trials to establish the accuracy of the TSH, 50% of the people tested got results that had NO correlation to thyroid function or that the best results obtained in these trials were that 25% got no correlation to actual thyroid function. And that’s just compared to T4, and T3 tests, not to actual biological activity. But if they treated hypothyroidism so that the patient was actually healthy, they wouldn’t be able to sell those patients cholesterol and heart medicine and antidepressants plus a lot of other drugs! Which would mean that the drug companies would make much less money. By the way, a cholesterol test used to be a test for hypothyroidism, and it’s MUCH more accurate than our holy miracle of the infallible TSH test! If you have high cholesterol, you have hypothyroidism. I think alot of the time, doctors only keep you “so well”. A healthy patient means no patient at all. In my case, the doctor seems to ration out the thyroid med like it was precious gold. I have more energy since she upped it, but I’m still not okay. And she doesn’t put refills on the med, so I am forced to keep going back to the doc on a regular basis. I had an interesting battle with the antibodies test for Hashimoto’s. The hospital “forgot” to run it in November, even though the doc clearly had it down on the form. When I went again this Monday, it was on the form again, and this time I made a big deal out of it to the technicians until they actually showed me the vial marked AB for antibodies and actually ran it. If you don’t stick up for yourself with thyroid tests, they simply won’t run it, even if the doc has it marked.